Make your yard into a place that's great for both you AND your pets! "Its about time that some of you had the opportunity to hear what we pets have to say in this publication. Being a natural born digger . . . and founding member of "Diggers R Us, " I can speak with some authority and have helped my owner considerably on landscaping questions. INTO THE WILD- YOUR OWN BACK YARD! Hi! Yep , it’s me Barkley again, Official PetLovers Gardening Consultant . Now that I’m in what many call those “golden years” [where do they get that? ], I try to keep most of my entertainments easier and in closer proximity. As your dog or cat probably already knows and has mentioned to you in some way, this is not hard. There’s a lot happening right in your own back yard. Critters galore! We’ve talked about the coyotes in past articles and how they’re still staking claims on what was once more their domains. But there’s skunks, possums, gophers, raccoons, field mice, rats, ground squirrels , not to mention those flying objects [ok, birds] that move in and out of your back yard premises at various times. Some are not too pesky. Some like possums who eat rats, mice, and snails, actually help rid you of other pests. Others can be smelly, dangerous and not to be trifled with. Perhaps in early evenings, you’ve spotted some of these like skunks traipsing through your yard or raccoons climbing up one of your trees. Adorable as those baby raccoons look, both they and the mom have razor teeth, are very strong, and can become quite aggressive. I know when I hear them in the yard, I bark from a distance …looking out through the patio door. My human reports they can really hurt or even kill a pet. Best deterrents ARE to make sure all garbage is sealed and pet food is taken up. Raccoons can damage buildings and roofs so seal possible openings to attics and remove trees that give easy access. And skunks,? Well one whiff and you know the deal on letting your pet out to chase them out of the yard…not a good idea. Perhaps the animals most discussed as on going back yard pests are the mice, rats, ground squirrels and my favorite ; gophers. Rats, ground squirrels and mice can chew your fruits, eat accessible outdoor wiring, sometimes enter your homes and make a general mess. As for gophers, they are the top scurge to the California gardener. You have no idea how many hours the Jack Russell and I have spent waiting and digging …and digging and waiting. Despite the fact we are both varmint dogs, there has been little gopher success. But it does pass the time. One of the best all around rodent predators however is owls. California Fish and Game studies report that a single pair of barn owls can consume over 2000 rodents a year! Barn owl boxes can be readily purchased and installed in your back yard to naturally eliminate these pests. Some even come with infrared cameras so you can observe the baby owlets on your home tv or computer. Observing the wildlife in your yard can be fun and keep you in touch with nature. BUT one thing to remember: Wild animals ARE actually wild. So no matter how cute and helpless looking one of these may appear, they will not make a good pet for your household. If you do find a hurt or abandoned animal such as these, for everyone’s sake, call a wildlife rescue organization such as those found on page 11 of this guide. They will provide the proper care and keep you all safe. The SD County Master Gardener ‘s Hotline at 858.694.2860 or website at www.MasterGardenersSan Diego.org can also provide a wealth of information on natural ways to deter animal pests in the garden. Love to Garden? Keep It Safe For Your Pets! Did you know that hundreds of dogs and cats are poisoned each year by residential pesticide and fertilizer use? Most fertilizers and pesticides include specific language that neither you nor your pet should enter a treated area for 24-72 hours after an application. In 2003, we surveyed veterinarians in the Houston and surrounding areas to ascertain the commonality of lethal and non-lethal reactions from chemical fertilizer and pesticide use. Having firsthand knowledge of a pesticide fatality, I was not surprised with our findings. 87% of our survey respondents noted a client’s pet had an adverse reaction to a chemical fertilizer or pesticide. 147 veterinarians reported 55 fatalities and 626 non-lethal cases last year. An average non-lethal reaction could be: a paw / pad / foot disease, hair loss, or vomiting - with the average cost of treatment between $218 – 381.00. Thirty-nine percent of our respondents claimed an ingredient in chemical fertilizers as the cause of the reaction. As a landscape architect, I had been using various organic products on the market for my clients, but we still relied on chemical spot treatments. I started to look for a pet safe alternative within the existing fertilizers on the market. There really weren’t any. With the assistance of my veterinarian, we augmented fertilizer contents of various existing organic products to create a pet safe product that would perform beautifully in high profile landscapes. The result became the basis for the Pet FriendlyTM Fertilizer system. 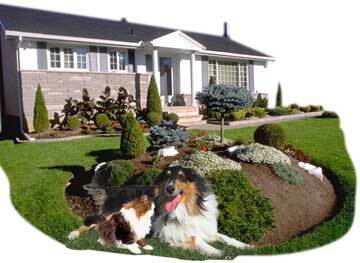 Pet Friendly TM Fertilizers are landscape fertilizers that are safe for pets, children, and the environment. We have been using our custom concoctions in our clients’ landscapes for over nine years. Clients using these fertilizers, on a monthly basis, do not need any chemical applications or pesticides. To view landscapes utilizing the Pet Friendly TM Fertilizer system visit www.landscapehouston.com. As my “side project” started to get more attention, we realized that there was a market for landscape fertilizers that are safe for pets. Our retail division was started in May of 2003. In December of 2003, we were honored to donate our services to The Houston SPCA where the Pet Friendly TM system is used to treat the dog run areas and beautify their landscape. As part of our commitment to make the world safer for our pets, we encourage veterinarians to offer any thoughts or suggestions that might help us further improve our products. Article by Ms. Appel, a registered landscape architect (#1930) and parent to three rescued dogs. APHIDS & WHITEFLY: Spray with hose, tobacco tea, ivory liquid solution. For roses plant Society Garlic among bushes. CUTWORMS: Can and paper collars. FLEAS/TICKS: Oil of Orange, Yeast and Garlic in pet food, Eucalyptus and Pennyroyal herb teas rinse. NEMATODES: French Marigolds planted among the vegetables. **Few bugs can tolerate a hot pepper spray solution. This may also deter “a pruning pet” [see below].Many of the strong smelling herbs such as mint, rosemary, opal basil, tansy and coriander planted throughout the garden will repel insects. Choose your herb carefully making sure to leave plenty of room for the “spreaders” like mint. Nasturtiums draw aphids away and repel whitefly & squash bugs. Geraniums keep beetles from roses. Petunias repel ants & black aphids. The Pyretheium flower which resembles a daisy is one of the most potent bug and insect repellents and can be ordered from most seed catalogs. ALOE AGGRAVATION: use commercial aloe jell or partially peeled leaves [put in juicer or blender] from your plant and mix approximately 1/2 lb. to 2 gallons of water . Sprinkle on leaves or use medium size brush to paint on plant. This gives a bitter taste and also repels rabbits. PEPPER POOCH AND PUSSYCAT PROHIBITOR: There are pepper sprays on the market made up of cayenne peppers and a water solution. Some contain wax to aid in the solution adherence. You can also make your own potion by placing 2 Tbs of cayenne pepper and 6 drops of dishwashing soap in one gallon of water. Place solution in a spray bottle and apply to plants make sure to avoid spraying when your pet is around so as not to get near eyes or fur. KITTY CITRUS CONTEMPT NO.5 and No. 6: Cats don’t care for citrus! Spray a citrus scented oil such as oil of citronella lightly on the soil near your plants. Scatter pieces of orange and lemon peel over the ground around your plants. If left on all night, these peelings will also so attract snails in the garden that they will be found clinging to the pieces and can be readily picked off in the morning. For more information, call:  631-7886 and find out how you can get a copy of the upcoming “PLANTING WITH YOUR POOCH” garden book. Pets and the Garden ...Can Your Plants and Pooch Be Friends? Are you hesitating to adopt a pet for fear of losing your beautiful lawn or garden? Here are some tips that may help you, your pet AND the garden to coexist happily. You must first consider what type of plants you can have in the same area with your pet. You need to ensure that there are no plants that may be toxic to your pet, especially with a puppy or dedicated “chewer.” Toxic vegetation can include azaleas, foxglove, bleeding heart, lily-of-the-valley, oleander, philodendron, mistletoe, iris below ground stems, and bulbs of hyacinth, narcissus and daffodil. It might also be wise to give up on tender shrubs, like camellias with roots close to the soil surface, and to avoid sharp-leafed plants like yucca which can blind an animal. For more info, call your local Orange County Master Gardener Hotline at 714.708.1646 or go to www.uccemg.com. Now that your pet is surrounded by safe plants, how do you keep your plants safe from your pet? 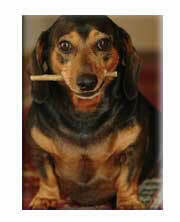 Is your pet a “digger?” Digging is an ancient instinct going back to hunting days. 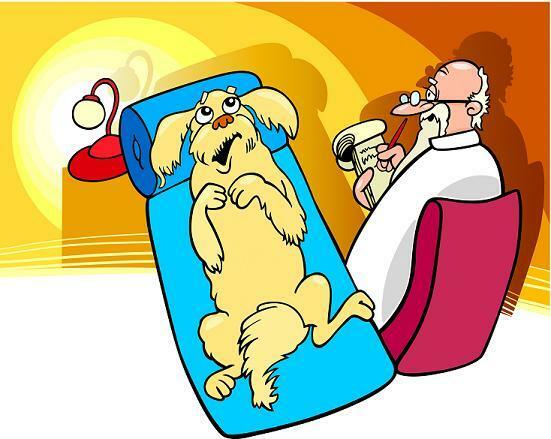 For your dog, it may be related to comfort, hormonal urges or just plain fun. Compulsive digging often occurs when a dog is left alone for extended periods of time. Your pet may be expressing his loneliness in a very physical way. Daily leash walks with a chance to do some territorial “marking” can help. If you have a true digger or area terrorizer, there is an option: You can divide the yard into two parts – one landscaped area for you and one for the dog. But remember that dogs like to be close to us, and if possible arrange it so he can perhaps even see in the house windows. Put a fence around his special area where it will be okay to dig and enjoy doggie fun. You may also bury some treats there for a “doggie” treasure hunt! Allow him in your part only when you are there to supervise his activities. Make his yard inviting to him; include some sand for digging, platforms for sunning (not too close to the fence for jumpers), include some chew toys, and perhaps a plastic swimming pool for those water loving breeds. If you can catch your pet in the act of digging a hole, hold your dogs head to the hole and correct him in a low warning voice, then guide him over to his “ok” area and praise him soothingly. And remember, NEVER punish your animal in anger. Dogs speak tone of voice and body language, not English, and certainly not harsh punishment. Severe digging behavior could lead to the necessity of a “hot wire” or other electronic pet enclosure device available at feed or pet supply stores. As with any electronic device, read the directions very carefully to avoid injury to small wildlife in the area. Plants Good For Poochie and Pussycat Herbs Your Pets will "Dig"! You can put these wonderful plants for your Canine or Feline Herbivore in pots, or a garden of their own for casual "grazing." It is fascinating to see how they will instinctively choose what to eat and when. This can also give you tips on what might ail them. Remember herbs have a tendency to "spread," so choose your locations carefully! Alfalfa, Barley, and Wheat grass- these grasses containing at least 20 amino acids are rich in proteins,vitamins and minerals and act as over all body tonics for both pet and owner (you might just picnic together on this lawn). You can also put in large, easily accessible planters to avoid spreading. Borage - A lovely blue-flowered plant good for upset intestines and bronchial type coughs. Catnip - This herb notably attractive to most cats is good used in moderation to stimulate a lazy cat to exercise. If applied to a scratching post or toys it might make them more desirable to your cat than your new chaise lounge! Keep in pot and use sparingly. Fennel- Relieves cramps, constipation and may improve memory and reduce obesity. Article from "Planting with your Pooch & Other Pets." Please call  631-7886 for additional info. Where does Poochie like to sleep when hes outside? Where is his favorite shady spot? Where is he starting to make paths in the yard? This usually involves a border near the fence... is this area dangerous to your pet or plants? Is he starting to dig or tear up the yard in general...or just certain spots? a] Basic needs…do you have cool shady areas? c] Loneliness and Boredom…spending enough time with this special pet? Lots of walks? Are there toys and activities to occupy him while you’re not there? *Also remember…if your dog is prone to dig or new and just bonding with you, do not let him see you planting [digging to him] in the yard. THAT’S ONE OF HIS BEHAVIORS…so for all he knows you’re joining him in this fun activity…and he’s hoping you’re burying something good for him to eat…steaks would be nice! BUT …If dig he must!…try sandpiles and a digging area. Yes, you can give Poochie his own little spot in some area you designate. Provide toys and bury some in there for him yourself…and when you see Poochie digging in an unacceptable place, lead him gently over to the good area and pet him ..even dig some there yourself to show him it’s acceptable. I know how silly this sounds [forget what the neighbors think!]. ..but it can work. Treats for staying in the right spot add incentive. The Chew Chew Boogie…or is it the Blues? Does your dog seem to mouth your greenery to the point of devastation? Well…if you have a puppy, it’s to be expected. Remember he’s teething and just trying to get relief. Where are those toys and chews? A. Change in Routine…anxiety attacks can spur on a chewing behavior. Spend more time with him and lots of petting and patience. Provide chewing toys with your supervision. B Dietary Deficiencies: Check for Calcium or change dog food…your vet and a good animal nutritionist can help you with this.